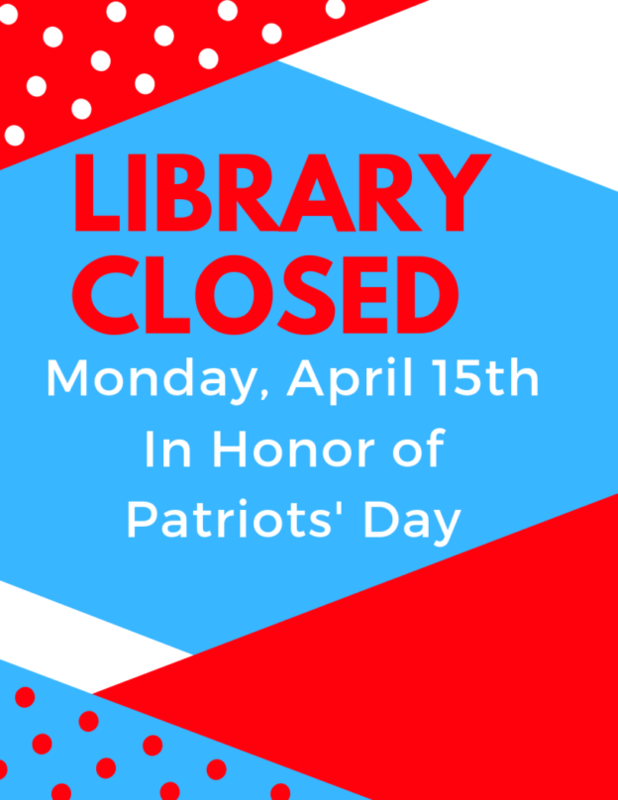 Please note that the Boxford Town Library will be closed, Monday April 15th, 2019 in honor of Patriots’ Day. Normal hours resume Tuesday April 16th. This entry was posted in news on April 9, 2019 by Kevin Bourque.